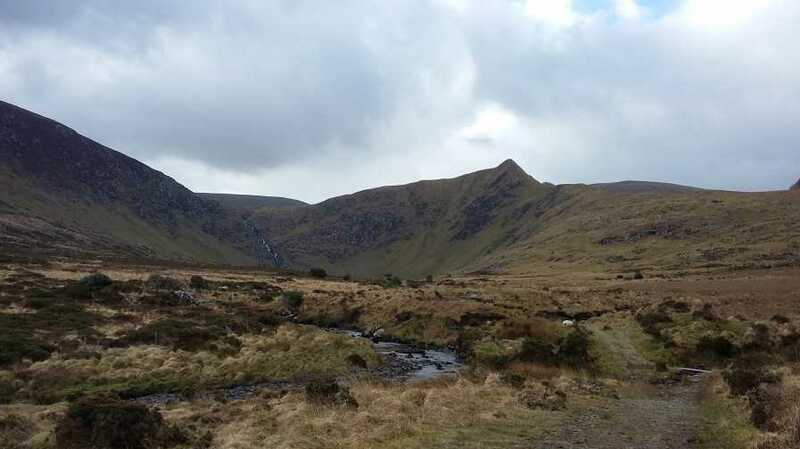 A distinctive peak noticeably spotted from the road towards the Conor Pass at the junction with Cloghane. By contrast, it looks very diminutive from the boggy plateau to the south. You will see a track on the OS map that leads from the turn for Cloghane towards Loch an Duin. Following the advice of aidand, I used this track initially before heading over trackless ground onto the northern ridge of Slievenalecka and upwards to the summit. Word of warning, this hill drops precipitously from its north east, but to the north north west, the drop is less severe and you can ascend this way following the oddly placed fence.